Have you ever pushed it to the limit? If you have a tiered mobile data plan, the answer is probably yes. Tiered data plans put a cap on the amount of data you get per month. If you surpass your data limit, you either get cut off or charged more, depending on the plan. Nobody wants to get cut off or charged more, so the question becomes this: How can a smartphone user keep data usage down? Take a look at these strategies and apply them to your own life. Image Credit: Flickr Yahoo Inc. Most phones let you to enable WiFi in the settings menu. By doing this, you grant your phone “permission” to freeload off of WiFi hotspots wherever they’re available. Let’s say you spend your day running errands. You go to the supermarket, McDonald’s, the mall, and the gym. 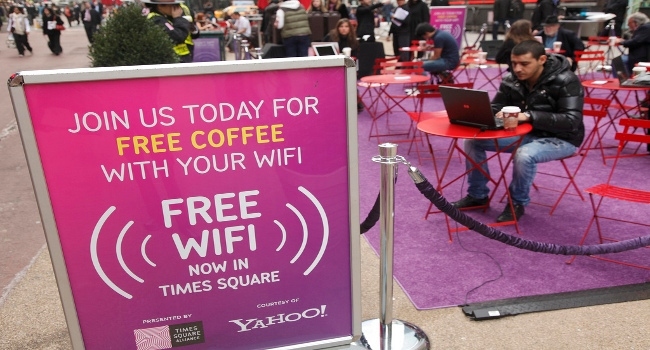 Most of these places offer free WiFi. You won’t be charged for data usage while you’re at these businesses because your phone will glom onto their free service instead of using yours. It’s like saving money on groceries by eating dinner at someone else’s house. Are you addicted to the apps on your phone? It’s hard not to be, especially if you’re using T-Mobile, the fastest 4G network available. Each of your apps eats into your data limit. Who are the biggest culprits? For many users, it’s YouTube, Pandora, Facebook, and Twitter. If you use Android, you needn’t guess which apps are slurping up the most data; you can check yourself by going to Settings → Data Usage. There you will find your list of apps and how much data each uses per month. If you’re an iPhone user, it’s more complex. Unless your phone is jail-broken and you install an app like iNet Usage, you’ll have to do some detective work to figure out which apps are gobbling up your data stores. One good rule of thumb: Apps that drain your battery are often the ones that drain your data. If you’re an Android user, you can click on individual apps in your settings menu to see how much background and foreground data they use. Ideally, every app will use more foreground data than background data. If you find an app that’s using more background data than it should, you can choose a “Restrict Background Data” settings option. Be advised that if you choose this, you won’t get some notifications unless you’re connected to a WiFi hotspot. Background data wastefulness tends to be more of an issue for Android users than iPhone users, but it can happen on either phone. Data monitoring apps like DataMan are helpful for iPhone users. These apps won’t tell you which specific programs are draining you, but they will advise you of your data usage over time. Many people use their smartphone as a second screen while working on their computer. Why use up precious mobile data when you have all the free Internet you need at your fingertips? The short answer: convenience. It’s very handy to check an email ping or Facebook notification on your phone instead of closing a window in your browser, but in the end, that convenience will cost you. The principle here is energy conservation. It’s like remembering to turn the lights off when you leave a room or unplug appliances when you go on vacation. The action seems small and inconsequential, but a number these actions will add up to significant savings in the end. If you’ve ever lived on a budget, you know there are plenty of ways to stretch your dollars. Your mobile data budget is no different. Use these tips to trim the fat off your data usage and you won’t miss a thing. While my brother has an Android, I have an iPhone and the it pinches how easily can he figure out the data-juicer apps while I cannot. But no worries, we will be switching to WiFi soon. Thanks for the info shared. If you really want to limit the data usage, you could do that by going into settings and limiting the data usage. I think that this feature is exclusive to kitkat. So if you have kitkat, then you could limit the usage without any hassles. If you don’t have kitkat, then the above tricks work like a charm. Especially identifying the data leeches. Apart from that, returning to the old school computer can really make your job much easier, in fact I’m now using computer for watching videos and doing some heavy stuff. Your post is good but in addition to this we can use mobile browser with have data compression technique such as opera mini etc by that process we can save much data and this type of browser fulfill our requirement. Yes, I agree with you. Opera Mini saves lots of data usages. Thanks Rajesh, in addition to this you may also try UC browser mini for data saving. Leeching Background applications are the most that makes users end up to either throttling or over charges, you must disable background data for those applications which are not in need while background. 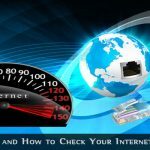 These tips are good actually using Wi-Fi connection eventually will save mobile data. Nice post. But there are lots of apps available in the Google App Store to control your data usage with the use of 3G or 4G. You can try to use mobile sites to reduce your data usage. Also, try to use one tab at once. Don’t use multiple tabs at once. Hey, This is a Nice Post, Full of Great Tricks to control Data Usage. I always run my mobile packet data every month due to my activity using YouTube and social media. when I go to MCD or public facility like MRT and subway train and now I use your tricks and everytime I go to a place with WiFi hotspot I connect to that WiFi and now I never run out mobile packet data in end of month. Opera mini free internet can be powerful for saving cost on Android devices.